Thousands of people marched in Brussels on Sunday to "Claim the Climate" in a demonstration ahead of the COP24 climate conference. 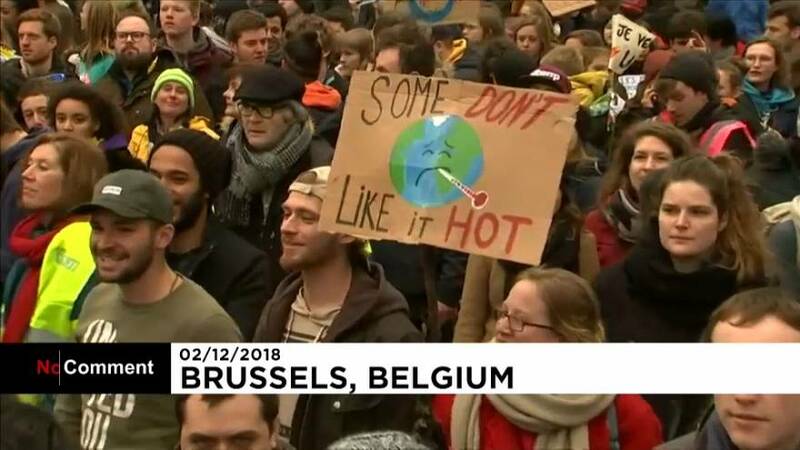 The demonstrators were demanding that the Belgian authorities take action to meet the commitments set in Paris in 2015 of limiting warming to "well below" a rise of 2°C above pre-industrial times while "pursuing efforts" for the tougher 1.5° goal. Organisers said on their website that they were taking to the streets of Brussels to claim their "right to an ambitious and socially just climate policy." Delegates arrived in Katowice, Poland, on Sunday for the COP24 United Nations Climate Change Conference which is set to be marked by divisions within Europe and tension between the United States and China. COP24, billed as the most important UN climate conference since the Paris Agreement of 2015, is taking place in one of the most polluted coal-mining regions in Europe.